With the expansion of the colonial empire, which had started at the time of the Third Republic (1871-1940), there was an obvious need to train native medical staff and also other health professionals in each territory. In all capitals public education was quickly put in place but standards had to be high enough before contemplating the opening of medical training institutions. Later on, all these institutions progressed in the same way. With the exception of China they were all distributed according to the scattering of the French colonial empire. Their faculties were set up with Colonial Army Medical Corps servicemen who were nearly the only ones in charge of the training, which was a steadfastly innovating and also fruitful one. With their graduation, young trainees became "auxiliary physicians" whose role was of critical importance. These native or colonial academies which had been put in place for medical training were a first step, but they were not in any way part of the French university system. Around the 1950s, real university medical and pharmaceutical schools took over and then the skills and expertise of Colonial Medical Corps Officers were greatly appreciated to put these new training institutions on the right track. Colonial Governors required that a widely distributed free medical care system could be shortly set up, even if it had to be run by a staff whose training had to be shortened and less ambitious, limited mostly to the acquisition of basic and practical skills. In some countries some medical training institutions had already been built up, either by local governments, or as in India by naval medical officers and also by Christian missions. A medical academy was set up in Antananarivo, Madagascar, once its pacification was achieved, where students of the English speaking parts could be admitted. It should also be reminded that by the end of the nineteenth century in Europe and in France as well there were many "medical auxiliaries", entitled medical officers or auxiliary surgeons who could practice medicine with a diploma of sorts. The requirement of being an MD to practice medicine was enacted in 1885. Most of the time these medical training institutions were set up overseas in capitals and were located close to or even within hospitals. After a few years of operation pharmacy training departments were set up. During their high school curriculum students who had successfully taken the "brevet élémentaire" examination could be recruited after having had a one year pre-med course. With the completion of their training they earned a medical degree which entitled them to practice only in their country. Later on, in the early 1950s medical school admission started to be restricted to those who had completed the high school curriculum and had successfully taken the "baccalaureat" examination. They had their first three years of training overseas in a medical school which was a local branch of a university medical school located in France where they had to go afterwards, in order to complete their training. There, they earned the French MD. Faculties formed of professors who were civilians took over from Colonial Medical Corps servicemen. As both parties were closely cooperating, it was not unusual for some medical officers and pharmacists of the Colonial Medical Corps to become members of the faculty of one of those university medical schools after they had been selected through the appropriate examinations. With the independence of these countries, these medical schools then became emancipated from the French university system. There their trainees earned a medical degree which was no longer valid in France and they were no longer acknowledged there as fully-fledged MD's. With this medical degree they were nevertheless entitled to undertake a medical specialty training just as if they had earned a French MD. These medical schools became national medical training institutions, with national faculties and they continued to run the same way as French medical schools. In hindsight one can regret that these medical schools, especially in Africa, have not kept using the pragmatic approach of training which was the hallmark of the Colonial Medical Corps in the curriculum of these medical training institutions for natives. With the treaty of Paris in 1763, France was only left with five trading posts. Naval medical officers and surgeons working with "La Compagnie des Indes" did not take long before starting to train native health workers. In 1816, after twenty seven years of British occupation three physicians and a pharmacist who all happened to be servicemen, arrived in Pondichery with the new French governor. This number did not change up to 1964. They cared for the garrison and for French civilians while natives were left to the care of traditional practicioners or "mestrys" who were trained to perform smallpox vaccination and were also given some basic European medical training. Around 1850 two surgeons of the Navy, Collas in Pondichery and Godineau in Karikal, devoted all their energies to train Indian auxiliaries. Pondichery medical training institution which was started in 1863 is the oldest overseas French Medical School which was designed for the training of medical officers and inoculators. Beside physicians and pharmacists of the military the faculty included missionaries who were also naturalists and some "mestrys". A pharmacy department was started in 1905. As these trading posts were not heavily populated there was no need for many health professionals. Each class had around five trainees only so that the standard of medical education was very good. Some of them later went to Europe or Madras to update their training. 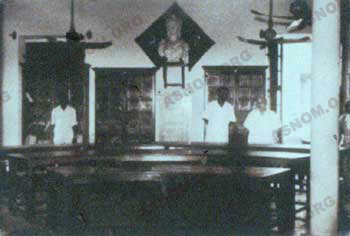 The first Pondicherian by the name of Paramawanda Maradassou (1870-1947) who became an MD, was a smart and well learned person. He taught traditional medicine and, in 1906 started publishing several monographs which are of outstanding interest. In 1954, the French Indian Posts were incorporated to India with the agreement of France. Pondichery Medical Training Institution kept on running after, with a faculty made of physicians and pharmacists of the Colonial Medical Corps using the French language. In 1958 this institution was incorporated into the University of Madras and then a bilingual medical college took over. Three medical school professors were commissioned to come from France each year to provide students with the French part of this training. 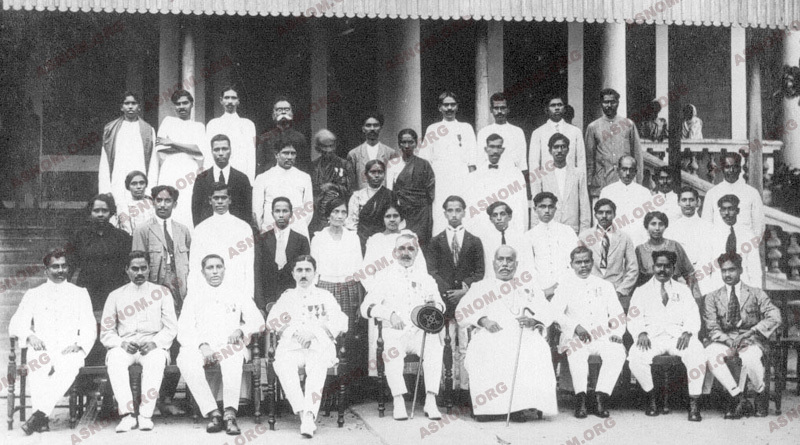 The number of trainees raised from five to three hundred each year but with French influence becoming gradually bygone this institution was smoothly incorporated into the Indian education system. By the end of "the opium war" (1841), China opened up to western countries. Physicians, most of them servicemen (naval and then colonial physicians) were assigned to French legations and post. As representatives of western medicine they were outstanding agents of French cultural influence and were also the driving force of some medical schools, two of them being more important than the others, namely the T'ien-Tsin and the Chang-Hai ones. In 1881 Viceroy Li Hong Tchang had a medical training institution built up in T'ien Tsin, near Beijing. Together with the hospital which was close by, its mode of operation was a western styled one. At that point in time no French trainer was available. In 1887 a naval medical officer named A. Depasse who had found favour with the viceroy with the healing of a bad wound he had been suffering from, took over from a British fellow physician and was assigned to the position of supervising this institution. Naval medical officers and then colonial army medical officers beefed up its faculty. G .Mesny*, among them, won fame after fighting epidemics. He died of plague in 1911. This institution disappeared with the fall of the Manchurian dynasty and with the 1911 revolution. At the time of "legations and foreign concessions" France held a most distinguished position in Pekin and had among other achievements, a "Rail engineers training school" put in place. Numerous naval and colonial medical officers who had no previous experience of medical training contributed through their professional activity to the distribution over China of French medical influence. By the end of the nineteenth century, in Sechuan, which is in the North-western part of China, an Imperial Medical Academy for the training of army medical officers was started in Tch'eng Tou. A.F. Legendre* was one of the first supervisors of this institution where an important and permanent medical mission with many French medical officers was kept working until 1927. Around 1860 the French had a basic naval hospital built in this big cosmopolitan harbour and several French physicians kept on working there up to the end of the second world war. Aurore University was founded in 1903 and had a Medical school started in 1912 by Ricou*, and its first class graduated in 1917. Among the best known professors who were present during its first years of operation the names of Sibiril*, Brugeas*, and Allary* are to be remembered. This new medical school received the support of Paris and Lyons Universities. The standard of training was high and the quality of care which these Chinese physicians could provide, was widely acknowledged and appreciated. This medical school issued a bilingual magazine, which was printed in French and Chinese and distributed throughout the Far Eastern Region. 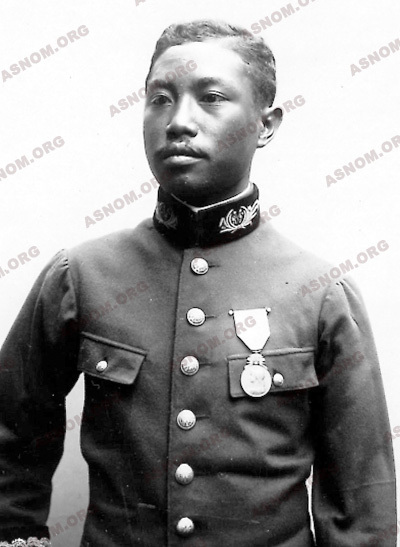 Among others, Chardronnet* and Taillard* kept on training in spite of the Japanese occupation in 1948 there were 290 trainees with around twenty five earning their medical degree each year. Aurore University was closed with the arrival of Mao Tse Tung's communist forces. In 1938 Noel Bernard* attended the opening ceremony of the Pasteur Institute which was supervised by Raynal*. Medical Training and Research, representing French medicine was left to both of these institutions until the second world war. In Southern China, after the opening of the Paul Doumer Hospital on Chemeen Island in 1903 a medical school was established. Several Colonial Army medical officers took part in the training with L. Sanner* and Talec*, but mostly with Ringenbach*. One can also mention ,the French hospital located in the old imperial city of Beijing capital of Mandarin China, which was supervised from 1936 to 1939 by F. Blanc*, who in France was Professor at the Pharo Institute. Prior to the arrival of the French, the Annamese Empire had a medical training institution in Hué which provided a traditional kind of training which was a long way off the western training. In 1888 E.Boinet, a professor of the French medical schools system, who was on temporary military assignment to Indochina, had a private medical training institution established in Hanoi which was dubbed "the Little Tonkinese Medical School". Shortly after, Paul Doumer, started to contemplate setting up in Saigon, (which since 1863 had been under French rule), a public medical training institution which finally was built in Tonkin near Hanoi. The inauguration of this institution took place on January 27th 1902 and Yersin* was assigned to its running. A few years later it had to move right to the centre of the town to the very place where the present university medical school can be found. Students came from Tonkin, from Annam, from Cambodia and later from Laos. Nearly all faculty members were servicemen of the Colonial Medical Corps. 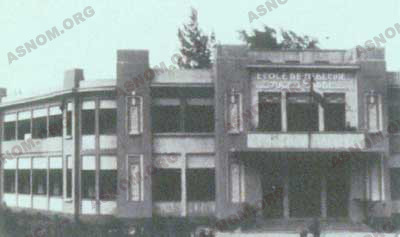 In 1904 this institution was named "Ecole Medicale de l'Indochine" and then later in 1919 it was renamed "Ecole Supérieure de Médecine et de Pharmacie" after the opening of a department to train pharmacists in 1914. Beside the three usual training courses designed for auxiliary physicians, pharmacists and midwives which were the only ones to remain in operation in the long run, other courses were started which kept running as long as they were needed for military paramedics training, and also for Chinese physicians and pharmacists. Auxiliary physicians and pharmacists also known as "health officers" or as "Indochinese physicians and pharmacists" were not long before being highly valued by local government authorities and by populations as well. 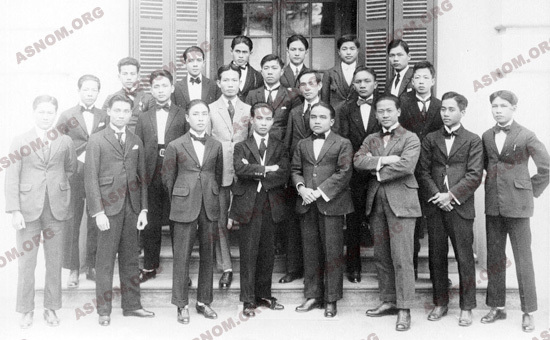 Nguyen Van Tinh (1888-1946), who was one of the smartest of them, carried on his training afterwards, when he attended Paris University Medical School. Later, he eventually became Prime Minister of the First Cochin-china Republic. In 1936 this local medical training institution started to be upgraded and was turned into a university medical school but its first trainees had still to receive their medical degree from Paris University Medical School. The University School of Medicine and Pharmacy of Indochina was finally established in 1941 and Colonial Medical Corps servicemen were involved in the training (Huard*, Rivoalen*). - In Saigon, Cochin-china, a "Public Healthcare Training Institution" was created in 1941 which can be compared to the native medical training institutions which have been already described. 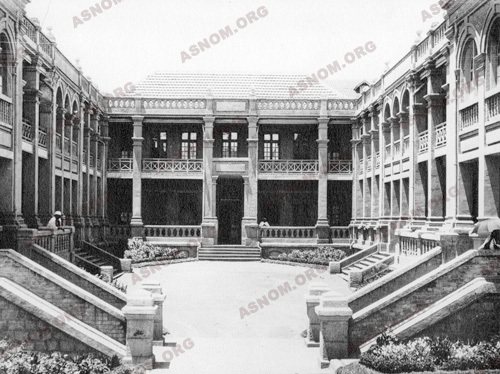 Later in 1945, it became a School of Medicine and Pharmacy which was at first a branch of Hanoi School of Medicine before operating on its own in 1954. - In Phnom Penh, the King of Cambodia, who followed A.Riche*'s advice had a "medical officers' training institution" put in place in 1946. As in the other places, management and training were duties assigned to the Colonial Medical Corps. In 1953, his institution became the Royal School of Medicine and then a few years later, in 1955, it was upgraded to a University Medical School which was at first left to the supervision of Paris University Medical School. During the next few years these two different medical training courses were coexisting. - In Vientiane, Laos, a royal medical training institution was set up in 1957. It was managed by J. Laigret* and was intended for the training of physician assistants. Later on, in 1965, courses were started for pharmacy and dentistry assistants and then another one for dental technicians in 1967. There were many colonial physicians in its faculty and one of them was in charge of the management. A Laotian manager was appointed in 1960 but a colonial physician had to remain as curriculum coordinator In 1969, a university medical school curriculum was started with the active cooperation of Lyons University Medical School. Nine trainees earned their medical degree in 1976, but that year happened also to be the last of the French cooperation. At that point in time this Royal Medical School, had three hundred and forty three trainees and sixty three members in its the faculty which included professors, professor assistants and lecturers. Thirty two of them were Laotian, twenty four were members of the Voluntary Service Overseas and seven were colonial physicians. 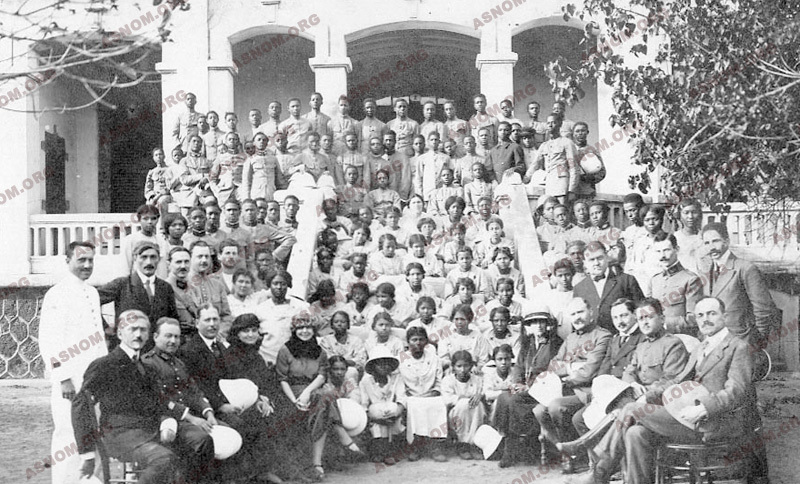 In September 1896, by the time Madagascar had been fully conquered, the "Medical missionary academy" which had been set up there in 1880 by an English protestant mission and where forty three students were presently training, was closed. General Gallieni who then was Resident Minister, followed the advice of Clavel* who was at the head of the Health Services and decided on December 16th 1896 to found Antananarivo Medical Training Academy, and Ankaninandriana Hospital for natives became its training hospital. At first training was difficult as students did not speak French and translators were needed. At the time this institution got started the manager was Metayer* and the curriculum supervisor was Jourdran* who had done his internship in Bordeaux University Medical School. The faculty included two colonial physicians and two colonial pharmacists and a Malagasy physician, Rasamimanana, who was an alumnus of Lyons Military Medical Academy. Trainees were recruited with a competitive examination after they had completed the Le Myre de Villiers High School curriculum or the curriculum of some other private teaching institutions. 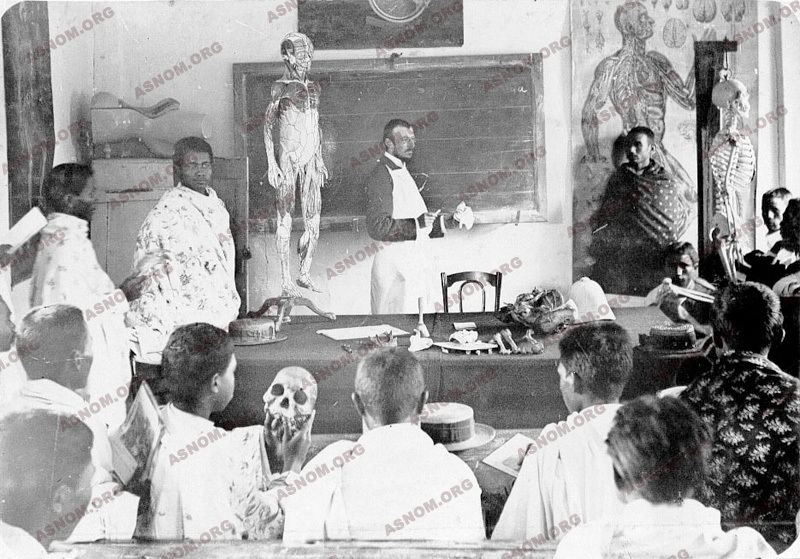 Starting in 1903, a new regulation provided that after their graduation these native trainees were bound by contract with the colonial government and this became also the rule for all other native medical training institutions which were later set up. Their pay was raised and they had to supply free medical care to natives, The Colonial Medical Corps supplied most of the training faculty and also most managers of this institution up to its termination in 1976. Like all other native medical training institutions, this one was designed to train auxiliary physicians in order to care for natives health needs. The "native medical degree" which they earned was not a university degree and entitled them only to practice in their territory. In 1929 the training academy and its hospital were transferred to new buildings in Befelatana which is now a university hospital. From the beginning this undertaking was a very successful one. As of January 1rst 1905, over an eight year long period of time, fifty eight auxiliary physicians and thirty nine midwives had received their degrees after completing their curriculum. 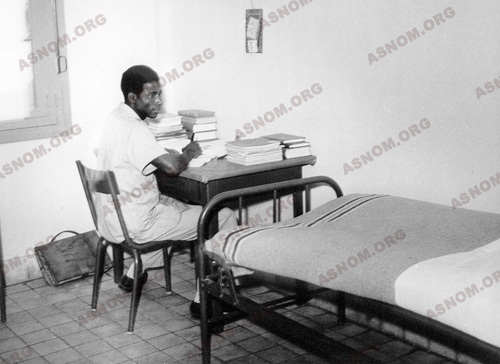 In 1964, shortly after the independence of their country, among the 608 physicians who were practicing there, more than two thirds of them had been trained locally. As of January 1rst 1970, this academy had trained 1 233 physicians, 72 dentists, 37 pharmacists, and 34 anaesthesiology technicians. Around 180 Malagasy physicians were given the opportunity to complete their training in order to become MD'. In 1961 a university school of medicine and pharmacy was opened in Antananarivo. Over the next fifteen years the Malagasy government decided to have these two different training courses coexisting. This academy was closed in 1976. In order to assist colonial physicians with health professionals who had higher standards of training than nurses, the decision which was taken was to have "native assistant physicians" trained. This corps was set up in 1906 by Roume who then was General Governor of French Western Africa (AOF). A federal degree provided that applicants in each territory had to be recruited among nurses and also students who had completed the primary school curriculum and passed the ensuing examination. Their training which was thirty month long took place in the main hospital of the colony and by the end of their curriculum which never changed they were assigned to positions in the Health Services for Natives. Later on, with increasing ratios of children receiving a full time education together with higher standards, setting up a medical training academy looked like a sound undertaking. A decree which was issued on January 14th 1918, provided that the French Western Africa Medical Training Institution be established in Dakar. It was opened on November 1rst 1918. A Le Dantec* was appointed at the head of this institution and at the same time he was also at the head of the hospital for natives. This academy which for a while was named after Jules Carde, stopped operating in July 1953 and its last class was named after Le Dantec who was its "godfather". During all the time this institution was running most members of its faculty were servicemen of the Colonial Medical Corps and in 1927 the heads of medical departments in the hospital all had to be Professors of the Pharo Institute. All supervisors who came after Le Dantec* were colonial army medical officers, and the last ones who were assigned to this position were Dejou*, Bergeret* and Sohier*. At first, students were taught in the college of their territory which was designed for the training of teachers. Then they all met with students from other territories in the federal college for teacher training which was named after William Ponty. This institution was first located in Saint Louis, before being moved to Gorée, and finally to Sebikotane near Dakar. Over a two year long period of time, there they shared the same curriculum as prospective teachers and office clerks and afterwards had to take an examination to determine their selection as medical or pharmaceutical trainees. Those who had passed it, had to take a one year pre-medical course afterwards before they could be admitted to the medical academy. After the administration shake up of 1944, this institution started to train other students who came from French Equatorial Africa, from Cameroon and from Togo, all places where they would have to go back to and work after their graduation. The first of them were coming from the Edouard Renard Training College for teachers which was in Brazzaville. Four different courses were available : a medical course with a four year long curriculum, a pharmaceutical course with a three year long curriculum, a midwifery course with a three year long curriculum, a veterinarian course with a three year long curriculum but which was later transferred to Bamako, Mali. Admission was a very selective process with a limited number of trainees between 8 to 33, in each class. It was only in public health facilities that they were entitled to practice with the degree they earned once they had completed their training which was in no way a university degree. They were only "auxiliary physicians or pharmacists". But this was changed after the 1944 Brazzaville conference and after they became known as "African physicians or pharmacists". By the time of its termination this institution had achieved the training of 582 physicians, of 87 pharmacists and 447 midwives in thirty three classes. It was a real elite breeding ground which supplied several heads of states and of government, and also several ministers and lawmakers. Felix Houphouet-Boigny who came first in his 1925 class is one of the most famous among them. By the end of World War II as there were now many students who had passed their high school diploma, medical training had to be upgraded to the highest possible standards. Therefore in 1950 the French University and the French Ministry of Public Education took over and all degrees which were awarded became university degrees. Medical Students from all French Sub Saharan Africa had their first three years of curriculum in Dakar while attending the "Preliminary College of Medicine and Pharmacy" and after had to attend the medical school of a French university and most of them enrolled in Bordeaux Medical School. In 1958, the college in Dakar became a full college of medicine and pharmacy and later in 1960 a university medical school. Medical diplomas which this institution awarded were fully valid in France. At that point in time colonial physicians and pharmacists who happened to be posted there, took an important part in having the training put on track, as part time or full time lecturers. From 1950 to 1975, with an examination which had to be taken for this purpose, around twenty of them were selected to become university professors. Later on, several of their former African trainees, with some who had started their career at the African medical training academy, became university medical school professors and took over. No medical assistant nor any auxiliary physician was available in Cameroon when this country was placed under French mandate in 1920. Moreover, as German was the European language which was spoken there, educational standards had to raise first, before contemplating setting up any professional training. 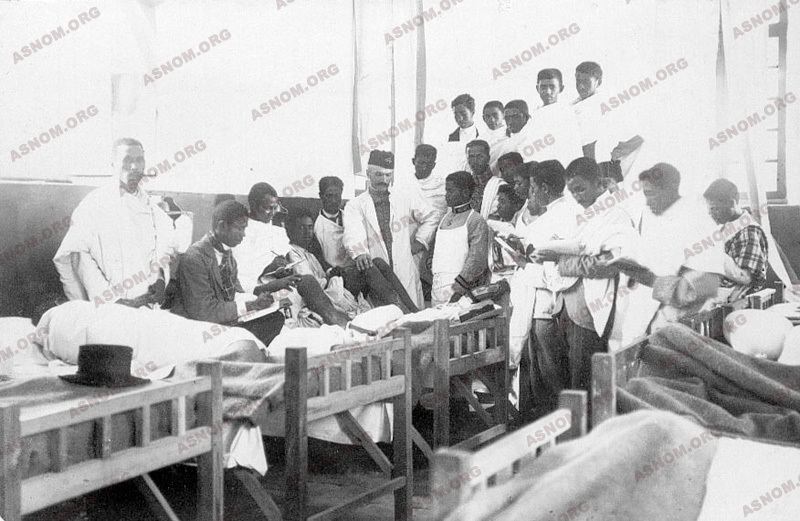 In 1932 E. Jamot* started in Ayos a Healthcare Assistant Training Academy which closed in 1945 and its students in training were then transferred to the Dakar Medical Training Academy where they earned their African physician degree. Later on some of them carried on their training in order to become MD's. These native healthcare workers were trained far away from large cities as it was intended to have them working in rural areas, mostly for the needs of the action which had been undertaken to control Sleeping Sickness. Beside this course there was also another one wich was available at this Ayos health-workers training centre which was for the training of nurses. Applicants were recruited after their primary school graduation and their training was designed to enable them to fulfil versatile duties. This nurse training institution kept operating after 1945 with progressively higher standards of training and with the diversification of its courses such as the ones which were needed to be either as registered nurse, or as registered midwife or male midwife. Until the nineteen seventies colonial physicians were included in its faculty. University training was started in Yaounde later, in an original compound named "The Health Sciences University Centre", sponsored by the World Health Organization. Training institutions were set up whenever they looked like a sound way of dealing with the needs of natives but were not a part of the university network of medical schools. They were entirely unrelated as they were not acknowledged as fully-fledged medical schools. From the beginning there has been a lot of criticism going both ways. Some stated that its medical training curriculum should have been the same as the one of French medical schools, so that trainees who had completed their training curriculum would be fully-fledged physicians, just like in France. Others said they had the feeling it was not wise to entrust healthcare professionals with the health of populations as they had been recruited before completing their high school curriculum and had had a limited medical training curriculum afterwards. In fact the real issue had nothing to do with the standards of medical training but was rather related to the standards of public education. Throughout this period, considerable advances were made to provide schooling for native populations. For instance, by the time the Medical Training Academy got started in 1918 in Dakar there were only two high schools in Senegal, one in Saint Louis and the other one in Dakar, which were in fact the only ones in French Sub Saharan Africa and the literacy rate was then very low. But in 1953 when the University college of Medicine and Pharmacy of Dakar took over the old Medical Training Academy, there was now a primary school in every village and at least one high school in every district. The same kind of development could be found all over. With an increasing number of schools, public education standards rose, as it is well known that curricula have to be arranged according to the standards of students, and teachers have also to set their requirements accordingly. So much so that after the Second World War, it became possible to upgrade the designation of these institutions without any difficulty as high schools standards of education and standards of training in medical academies were the same as in France. We find an evidence of that in the fact that after 1950, "Indo-Chinese, African and Malagasy physicians" who agreed, could take advantage of transitional measures which enabled them to receive their French medical degree from a French medical school. Students in Pondichery, Phnom Penh and Vientiane were also given this possibility and passed their examinations with flying colours. Moreover some of them embarked after in a university career and a few became professors in French schools of medicine or pharmacy. Therefore one cannot assess that their standard of recruitment was too low or that physicians of the colonial Medical corps supplied them with a cheap rated training. This training intended to provide trainees with a cast of mind turned toward the practice of scientific medicine. No place was left for flimsy words and only real facts were taught. Classrooms and training labs were located on the grounds of their training hospital. This unity of place rendered these institutions "real medical college hospitals" before this term had been coined. From the very beginning training was directed towards medical and pharmaceutical practice far away from university constraints and traditions. The faculty had but a few members who practiced the same kind of medicine as their trainees would have to practice later. For instance dermatology or endocrinology trainings were not done by specialists but instead were left to an internist who taught the basics of each specialty which these future general practitioners would need. He had all together to lecture trainees in the academy and to train them also in the hospital. Integration of medical training had never been before so fully implemented. Trainees were most often taught at a patient's bedside and there was no need of displaying slides as the illustration of teaching was right in front of them. Medical conditions which trainees saw in the hospital were the same as the ones they would come across later in their everyday practice, such as Leprosy, Malaria, Trypanosomiasis, Dysenteries and other tropical ailments. Some revolutionary training trials caused quite a stir at the time they started to be carried out which would now look very modern such as with the substitution of classroom lecturing for beside teaching which occurred in Dakar in 1932-1933. Trainees assessments were made with questions they were asked about patients records which they had made on their own and about the tests they had requested to complete the diagnostic. One cannot devise a more pertinent way of training. At the turn of the century for the first time, an ongoing medical training was developed in these institutions. Auxiliary physicians who had been selected through a competitive examination would go back to their training hospital to brush up their skills and after having fulfilled the requirements of this course, were promoted to the rank of "principal physician". - Bigot A. : La médecine française à Pondichéry aux XVIII° et XIX° siècles. 91ème Congrès des Sociétés savantes. Volume des rapports. Rennes 1966. - Brau P. : Trois siècles de médecine coloniale française. Un vol., 207 p, 1931, Paris, Vigot frères éditeurs. - Dejou L. : L’École africaine de médecine et pharmacie de Dakar. 25 p. ronéotypées. Ministères des Colonies 1950. - Galliard H. et Huard P. : Les débuts de l’enseignement de la médecine occidentale au Vietnam. Presse médicale, Novembre 1967. - Brygoo E.R. : Les débuts de l’enseignement médical à Madagascar. Un siècle d’expérience. Bull. Acad. Malg. 1971,49/1.